Last week, we had a little introduction to one of the pioneers in freediving in Brunei, Fun. Sur is another indispensable member of the Cekli Dive Crew who received guidance from the Brunei freediving masters. But make no mistake, Sur can hold her own as she reached Advanced level in scuba diving before ditching tanks to do dynamic apnea. When she’s not flying around the open ocean, this elusive and mysterious cowgirl can be seen frequenting waterfalls and lakes to get her aqua fix or giving me post-diving skin care advice. I know you started out scuba diving. What made you switch to freediving? I love the freedom in freediving. I found the serenity in freediving quite addictive. To me it’s the best way to experience ocean life – being bubble free makes me feel like I’m a part of it. You can only get these from freediving. Have you officially ditched tanks then? Absolutely! 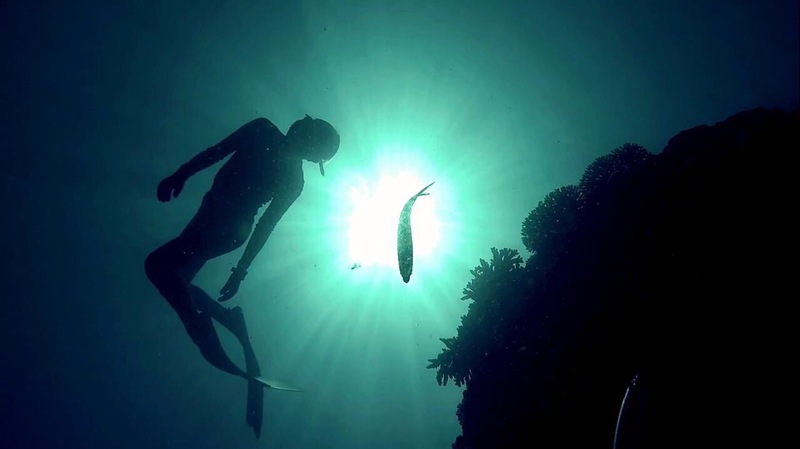 Do you consider freediving a tough activity for women? It depends. I wouldn’t say ‘tough’, but it does require strong will and determination. It is also very important that you have patience with your progress as it varies for everyone – never compare your performance to anyone, and always remember why you ventured into freediving in the first place. Where do you recommend going freediving in Brunei? I love exploring new dive sites and I think each and every one of them have different characteristics and offer a different experience. So there isn’t actually a specific favourite for me (yet). But going back to the question, I think it really depends on the purpose. For starters, I think Hornet’s Reef is a good site for those who would want something that offers variation in topography. If someone wanted to go into freediving, how would you recommend they start? Talk to someone in the field and get advice – know what to expect and find a good certified trainer or instructor to get you through it as safely as possible.